An informal custody agreement is an arrangement made between parents that outline the manner in which they will jointly raise their children. Informal agreements can take the form of a verbal conversation regarding custody issues or a letter written by a parent discussing availability for visitation with the child. In most cases, a general understanding of how the child will be raised and cooperation between parents constitutes an informal custody agreement. A formalized agreement is typically documented and enforced through a court order. 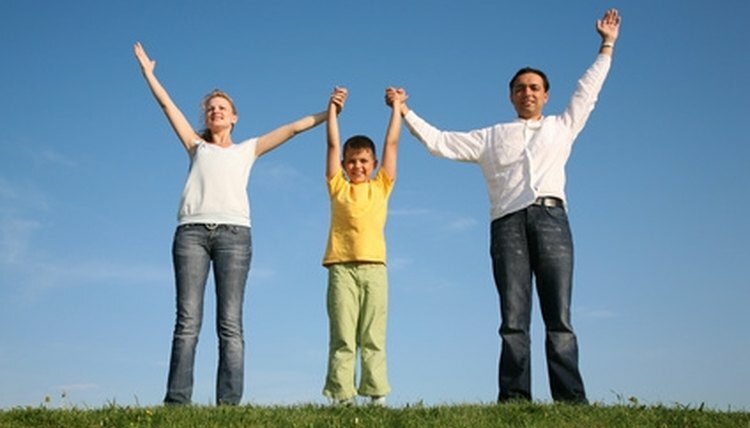 Parental access in a custody agreement refers to who has physical custody of the child, when, and for how long. With informal agreements, parental access is often a matter of convenience. Perhaps a parent works evenings or weekends so, by default, the other parent is responsible for the child during the day and the majority of the week. In other cases, the child's school or extra-curricular activities may affect when a parent spends time with the child. For instance, dad is his son's soccer coach, therefore it is only reasonable for him to have access to the child for the purpose of getting him to practices and games. In most court-ordered custody agreements, child support is awarded to the parent that has physical custody of the child most often. With informal agreements, parents may decide if one parent should make regular payments to the other towards the necessary expenses associated with raising the child. Otherwise, both parents are free to pay for the expenses that arise while the child is in their physical custody. It is generally determined in informal custody agreements that when one parent is working or is not able to provide the necessary supervision for the child, that the other parent have physical custody of the child during this time. If neither parent is available to care for the child, arrangements are made beforehand for the child to remain with relatives or another competent caregiver until one or both of the parents are available. If both parents are working and have access to medical insurance, it is not uncommon for both to provide medical insurance for their child. In informal agreements, one or both parents retain appropriate health insurance as well as ensure that the child is receiving regular adequate care. Informal agreements can become inappropriate in the event circumstances come up that cause one parent to be uncooperative. While formalized custody orders can be enforced through the court system, informal agreements can not because the courts are unaware of what rules have been broken. Sometimes, informal agreements work out famously until one parent becomes involved in a relationship or a parent decides to relocate to another state. It is best to seek the advice of a family law attorney or mediator before leaving your parental custodial rights to chance. Scott, Sherrie. "Informal Custody Agreement." , https://legalbeagle.com/6518833-informal-custody-agreement.html. Accessed 20 April 2019.